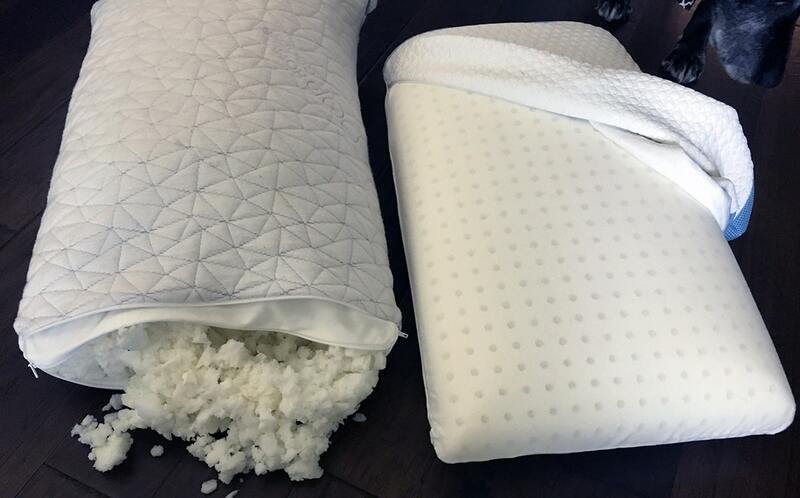 While they are both filled with foam, the pillows from Coop Home Goods and Bear are very different. One is focused on adjustable comfort and the other is designed to keep you cool and supportive. Read on for my full comparison. You prefer a more traditional pillow-like feel. The soft cover and adjustable filling that you can bunch up or move around will give you more of a typical “pillow” feel than the Bear pillow, which has a more futuristic feel to it. You want a pillow for all sleep positions. 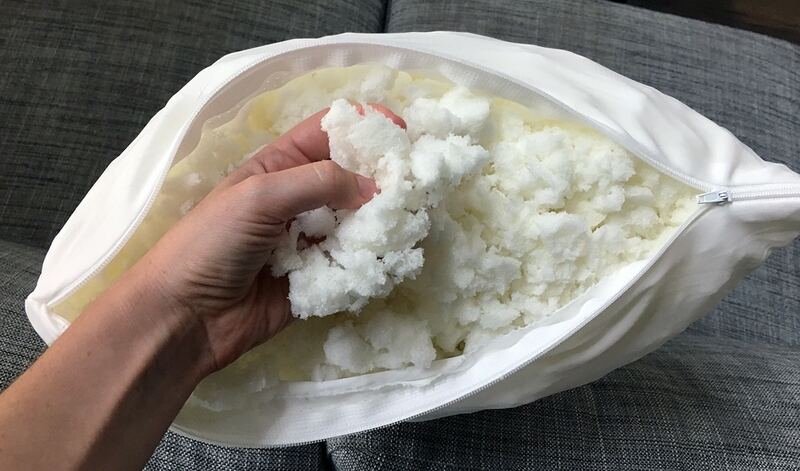 One of the biggest differences in these pillows is that, with Coop Home Goods, you can add/remove as much of the filling as you want. This makes it a good fit for all sleep types – you just need to take some time to find the right loft for you ideal neck/spine alignment. You want size options. The Coop Home Goods pillow comes in three sizes: Standard, Queen, and King. Bear comes in only Queen size. You sleep hot. Bear’s pillow is designed to keep you cool and comfortable. First, it is made with Double Ice Fabric. The unique cover is soft but has a distinctive cooling feel to it. There are also breathable side mesh panels. You are a back sleeper. 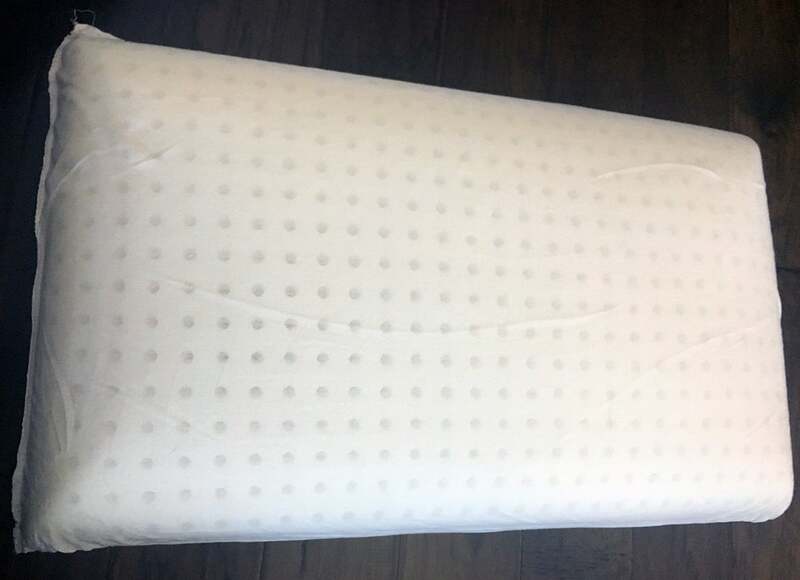 The outer cover has a notable texture to it; it is not smooth and can be felt underneath more lightweight pillow covers (which tend to slip off the pillow as well). The foam filling also makes it firmer than a down or down alternative. This may make the pillow a good fit for back sleepers, especially if you are sensitive to textures. You want your pillow to keep its shape. 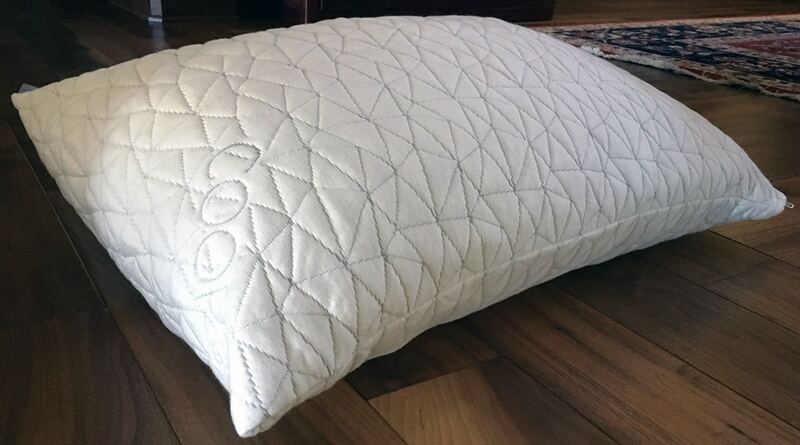 This is a solid piece of foam; your head will sink into the pillow but once you lift your head, the pillow will go back to its original shape. 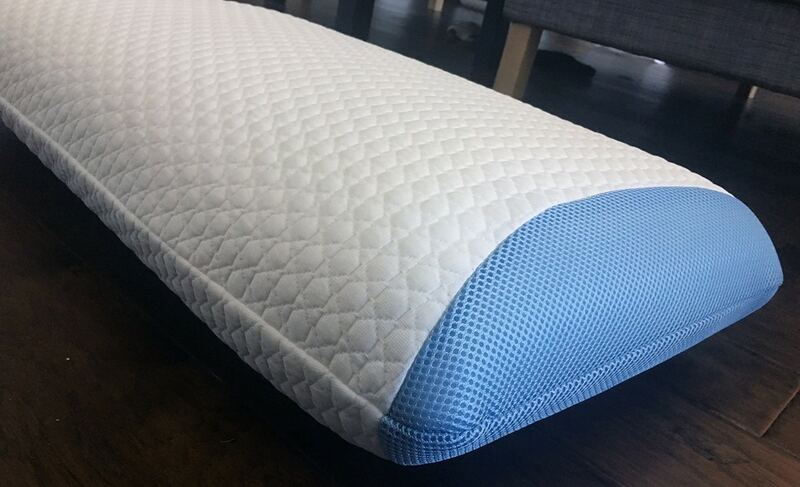 The polyurethane foam is naturally dense and responsive foam means that your pillow won’t ever go flat. The Coop Home Goods pillow and Bear pillow are both really nice foam options that have a lot to offer. When it comes to deciding between the two, my advice would be to think about what your sleep priorities are and go from there. If you love a soft pillow that you can manipulate to meet your exact needs, the Coop Home Goods pillow will be a good fit for you. If keeping cool is a concern, you like a firmer pillow with foam that allows you to sink in but provides good support – probably back and side sleepers – the Bear pillow will be a good fit for you. Even though they are very different, I enjoyed my experience with both of these pillows. If you are interested in trying one out, both pillows come with trial periods, so you can determine which one is the best fit for you.